With this in-depth & highly detailed manual you will be able to work on your Pioneer CDJ-100S with the absolute best resources available, which will not only save you a lot of money in repair bills but will also help you to look after your investment, keeping your Pioneer CDJ-100S in pristine condition. With step by step instruction & highly detailed exploded pictures to show you how to complete the required job correctly & efficiently. 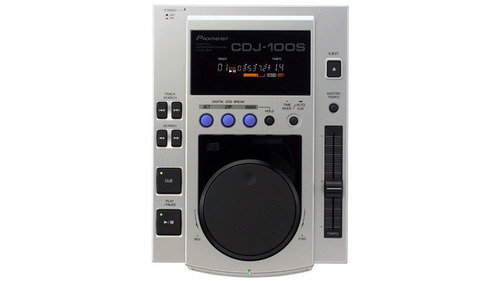 Ideal if you are looking to repair your Pioneer CDJ-100S yourself, maybe you are advertising your cdj for sale and want to give it the once over prior to selling it, this manual is definitely a must for all owners. Covers the entire CDJ-100S from start to finish, as used by professional techs to service or repair your decks. Below is an example of the topics this manual covers, an absolute wealth on information at your fingertips. This manual is very easy to use, it is designed in PDF format to simply view on your windows pc or mac/tablet/smartphone etc. You can print what you need when you need it and throw away when the work is complete. You can also print this entire manual if you would like to have a hardcopy too. Adobe PDF Reader can be downloaded FREE from https://www.tradebit.com for your device. Instant Download means there is no shipping costs or waiting for a CD or hardcopy manual to arrive in the mail. You will receive this manual TODAY via instant download from our secure high speed servers on completion of payment. We accept all major credit/debit cards via our safe & secure payment processor. If you are searching for a specific manual and cant find it then contact us via the Contact Button on our listings and we will do our absolute best to assist you in finding the correct manual. We are proud to have 1000s Of satisfied customers worldwide & thanks for visiting us today.